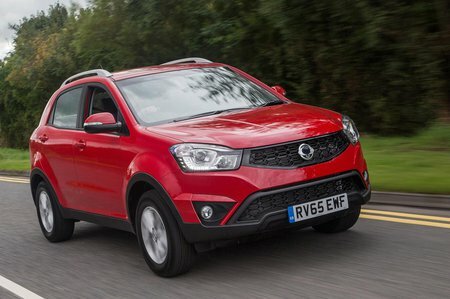 Ssangyong Korando Interior, Sat Nav, Dashboard | What Car? 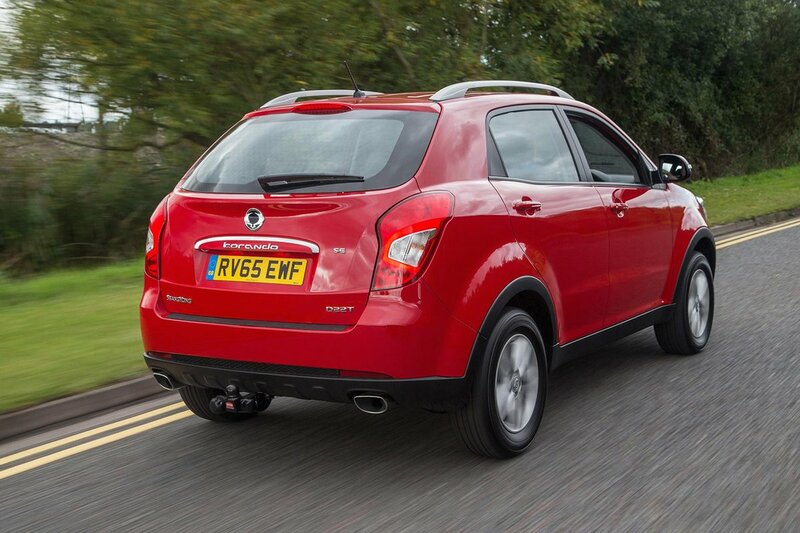 Getting your driving position right shouldn’t be too tricky in the Korando. Not only is there height adjustment on the driver’s seat, there’s also adjustable lumbar support, too. For those who cover a large mileage, it could prove useful for staving off backache. With the exception of a couple of oddly placed switches, the interior is laid out in a sensible manner. 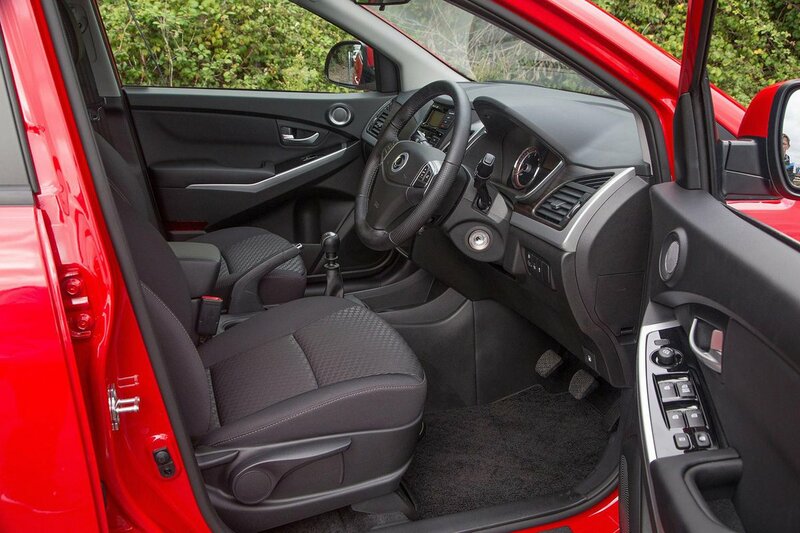 While metal and wood effect trims are on offer, this is an interior that can’t get away from the bargain basement starting price of the Korando. Hard plastics are to be found in plenty of obvious areas, while many controls feel cheap in operation. The 7in touchscreen infotainment system that higher trim levels receive is mounted high, so you don’t have to take your eyes too far from the road. It is, however, an aftermarket system with some Ssangyong logos grafted on. This means the menus look dated and it can be slow to respond to inputs. Thanks to a high driving position, visibility is pretty good out of the front and better than some rivals out of the back, too. Opt for mid-range EX trim levels and above to get rear parking sensors and a rear view camera. These make manoeuvring the Korando easier.